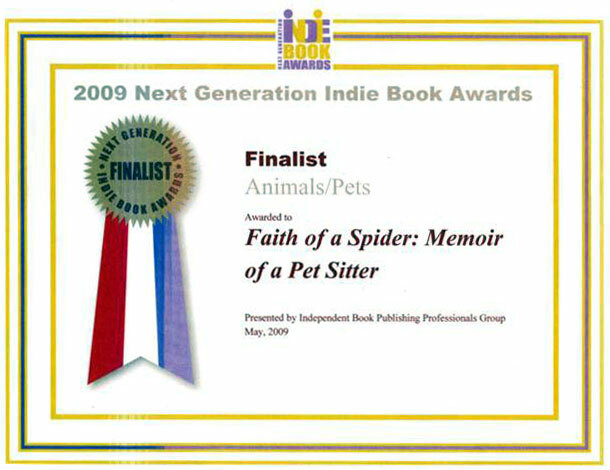 Writing Faith of a spider was a labor of love, much like caring for all the animals in my life. It took over five years and was originally written as a children's book for my grandchildren and future great grandchildren. I’m 74 and my main interests are first and foremost my family of three boys, their wives and my four grandchildren, then Mia my dog, Clint my cat, Zippy my cockatiel and all animals in general. I still have a love of horses but am not riding anymore. I like to garden, read and knit. I’m a Buffalo Bills fan and enjoy ice skating competition as well as the sports of the grandchildren. 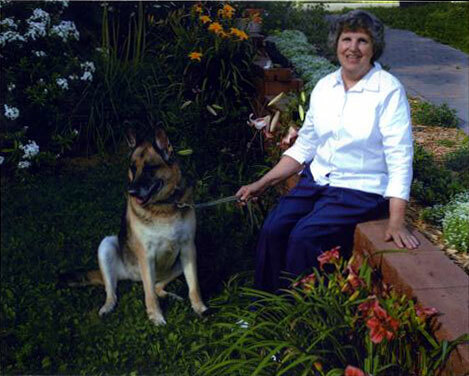 I taught dog obedience for 34 years and in 1988 started a pet sitting business called Tip Top Pets, and retired from both in 2005. Starting the business was a leap of faith but a spider gave me hope. 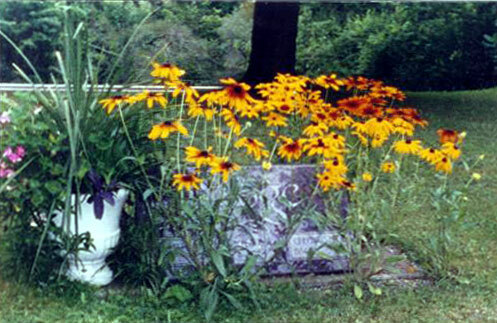 The book is a little about my growing up years on a dairy farm in the foothills of the Allegany Mountains in New York State and a devastating death that opened a door to a completely new way of life as a pet sitter. It’s full of interesting adventures, some funny, some sad and some downright dangerous if not for that angel on my shoulder. As a pet sitter I cared for every animal imaginable with the most challenging being a wild life preserve with a persnickety owner where I met Marie, the biggest raccoon I have ever seen face to face in a dark loft. 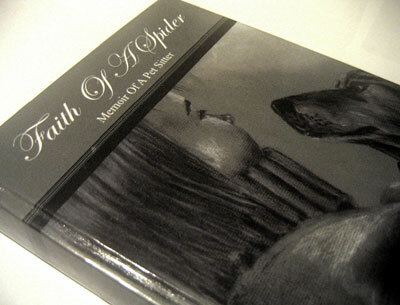 My granddaughter Nicole designed and drew the cover for Faith of a Spider. I’m very proud of her accomplishments in art. The book was a finalist in the Indie Book Awards. I will be signing it in Jasper, New York in early November at their Arts festival. My hope is my readers will laugh with me, cry with me and come into my world for awhile. Hope to see you there. I’ve enjoyed the summer with my new 9 month old German shepherd Mia, although I think she must be related to Marley! January 13th of this year I lost my beloved shepherd Grace to cancer. It was heart breaking. She was my devoted buddy. It’s been cool and rainy but the lilies, roses and daises I enjoy growing have their best dresses on and seem to enjoy it. The Kiosk on the street in Alfred, New York which I care for has been going well. It’s called P.A.L. for Planned Animal Life. The donation box has been filling up. It started in 1973 with vegetables, books and magazines and has progressed to donations of everything from a wire drain cleaner to toy dinosaurs. It helps disabled people with their animal care as well as those in need and strays. The furry ones thank everyone who has helped in some way.